I guess in a sense, this game is like Zelda, but with ninjas instead and a yoyo for a weapon instead of a sword. 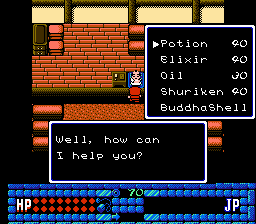 So some hellish monk decides to resurrect some great, big and evil demon and you’re charged with the task of defeating them/it. Overall I’d say the game is pretty good with good music and a good story. I suppose the dungeon design was pretty uninspired as they kind of seemed the same, but it’s not a big deal. 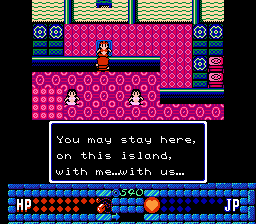 After a few months of work, aishsha and I have complete translation patch for Jajamaru Gekimaden. 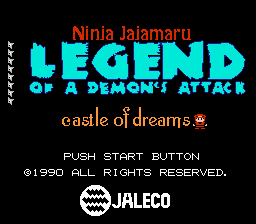 We have translated the title as Ninja Jajamaru: Legend of the Demon’s Attack - Castle of Dreams. Hopefully the patch should be without issues.